Over one thousand people died at Port Arthur during its history as a brutal penal settlement. Port Arthur was a very nasty place, populated by very nasty people, who had done, were doing, and were destined to do very nasty things. 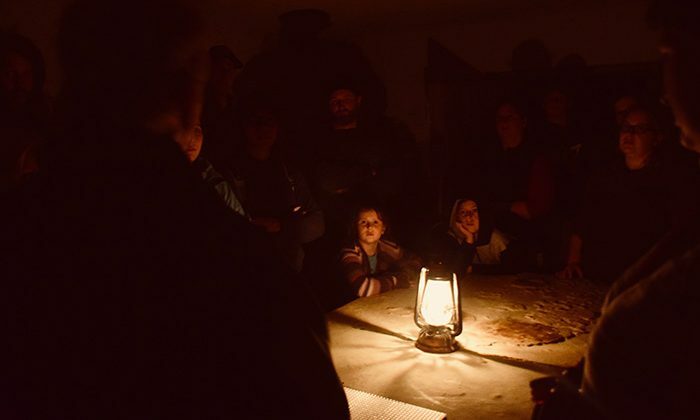 Given the ghost stories, it’s not the kind of place you want to wander about alone at night, which might explain why there are organised evening ghost tours. 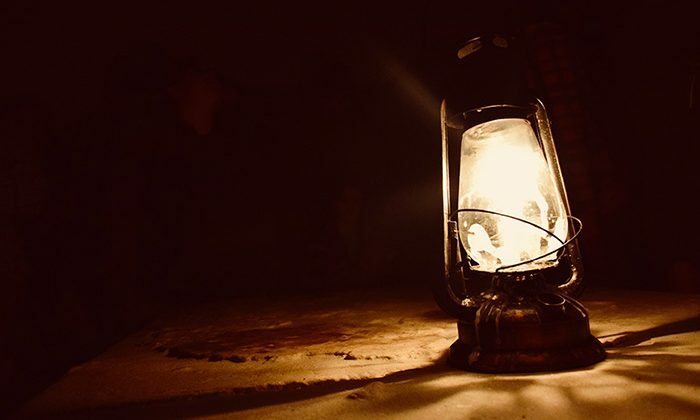 Guided by lantern light, a storyteller reveals some of the history and tales that made Port Arthur so notorious, leading you to the ruins of the old church, the surgeon’s basement, and the Parsonage – regarded as one of the most haunted buildings in the country. Length of Trip : Ghost tours last two hours, but definitely visit in the afternoon as well. Wheelchair friendly : Some areas offer independent wheelchair access, while others may require assisted access. Contact operator for arrangements. Family friendly : Yes. There was a five year old on my ghost tour, and I'm glad she wasn't my own! The 1830 restaurant on-site has views of the grounds and serves meals from 6pm onwards. Note that the on-site coffee shop closes in the evenings. The Urban Greek: Outstanding Greek cuisine from this friendly, stylish family-owned restaurant downtown. Mures Upper Deck: The city's best seafood, located right on the wharf. The Old Wharf Restaurant, located in the Macq01 Hotel, gourmet dining with a view. 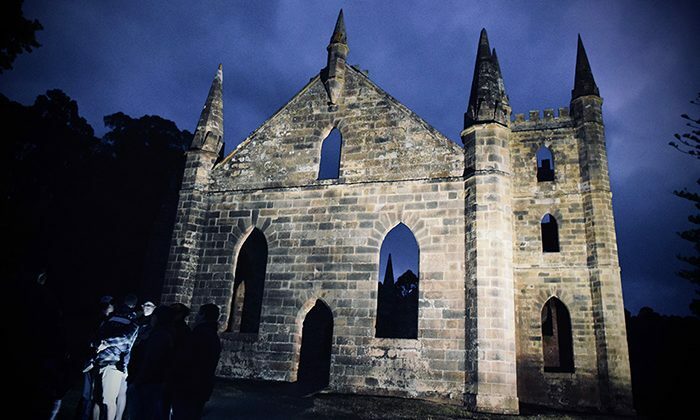 Port Arthur Historic Site is a scenic 90-minute drive from Hobart, taking you along the Tasman Peninsula with plenty of interesting stops along the way. It is recommended that you fill your car with fuel before you begin your journey, as most service stations on the Peninsula close before 6:00pm. 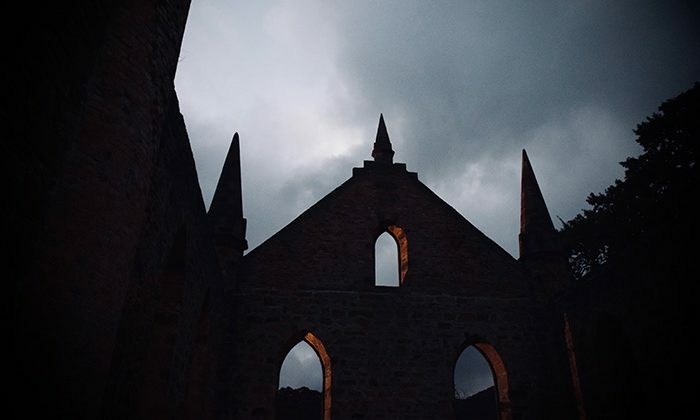 Given the history of convict misery, visitors report five types of supernatural experiences in Port Arthur: apparitions, bad smells, hearing things, emotional hauntings and physical sensations of being touched or grabbed. Nobody experienced any of that on our excursion, which is perfectly fine with us! The Separate Prison is particularly spooky at night, and you're not going to want to stray too far from the group. 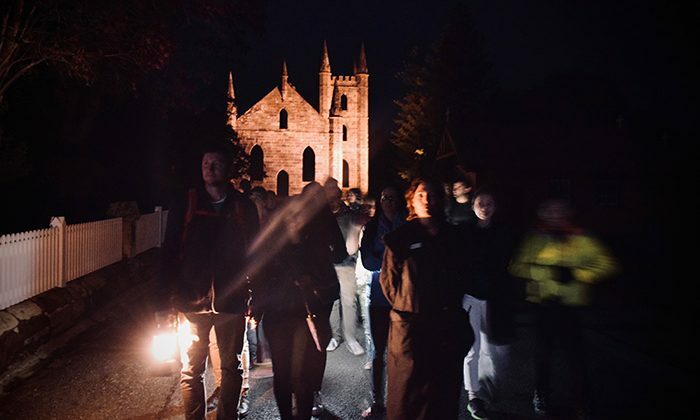 Visit in the afternoon to get a tour of the site during the day, and your ghost tour after dinner. Does Port Arthur Historical Site belong on The Great Australian Bucket List?